Styling your Koala sofa may seem like a simple task, but it can easily go wrong! Too many cushions, not enough cushions, clashing colours and no room for the family cat. 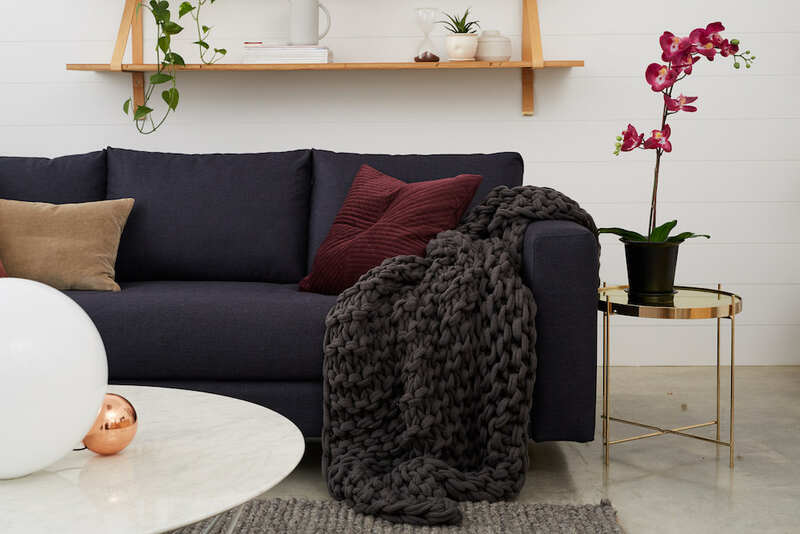 These are just a few obstacles you may come up against in your couch styling journey. Luckily I’m here to help! Here are my top tips to style your sofa like a pro. Deciding on the overall look and style you want for your living room is the first step to choosing the right cushions and throws. 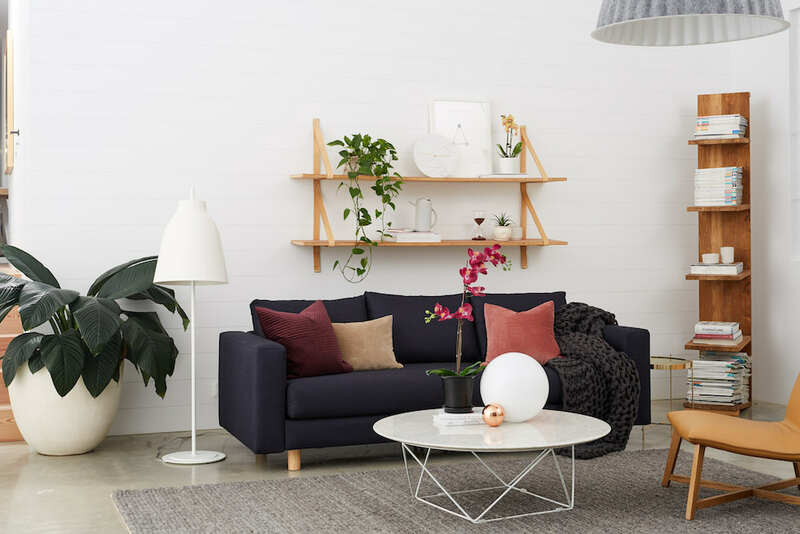 Boho, scandi, minimalist, coastal? Settling on the look you’re after before you start shopping will help you to choose pieces that are more likely to work together. The great thing about styling with cushions and throws is that they can easily be changed to suit the seasons and your style. 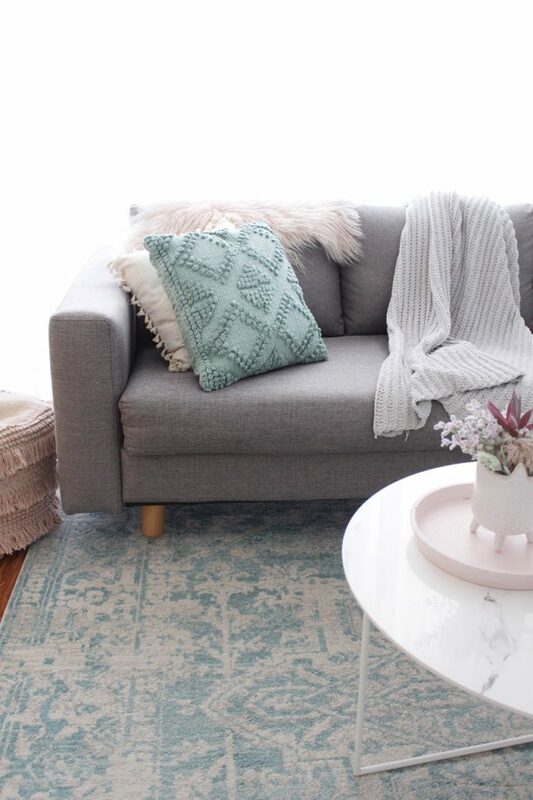 When choosing your cushions and throw rug, it’s best to stick to two or three colours at most. Start with a block or neutral coloured cushion and build from that by adding your coloured cushions in front in different sizes and textures. Add a contrast coloured throw that picks up the colour in artwork or decor pieces in the room. If you are wanting a minimalist or monochrome look, stick with muted and metallic tones like gold or oatmeal to create a sense of warmth. 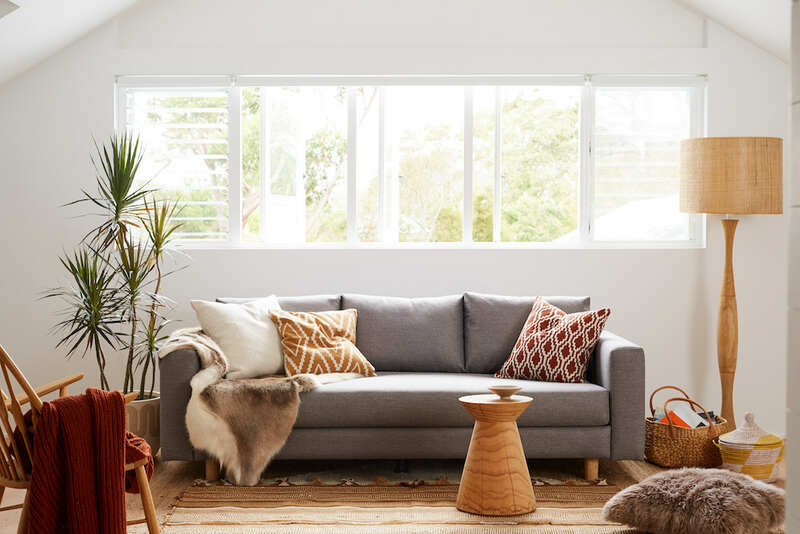 Texture is the key to styling your Koala Sofa like a pro. Pair linen cushions with chunky knit throws or a tasselled cushion. Using different textures creates a sense of depth and interest. In the cooler months opt for velvet and heavy fabric cushions for a warm luxe feel. The most common question I get asked is how many cushions should I use? This question definitely starts with my first tip on choosing your style. If you you have structured or minimalist styles space than less is more. For a luxe vibe large and abundant cushions that work with the scale of your sofa are the way to go. The key to deciding on the correct amount of cushions to your Koala sofa is making sure they suit the size of your couch and how it will be used. If you take the more is more approach and fill your sofa with cushions, make sure you choose cushions that have soft natural fillings like feathers, so that you can easily sink into them without having to constantly remove them to sit down. If cushions are not your thing than stick with one or two cushions each side, starting with the large cushion first and work your way in. Start your 120 night trial with the Koala Sofa today!